Neck and Neck with QuickSigma? 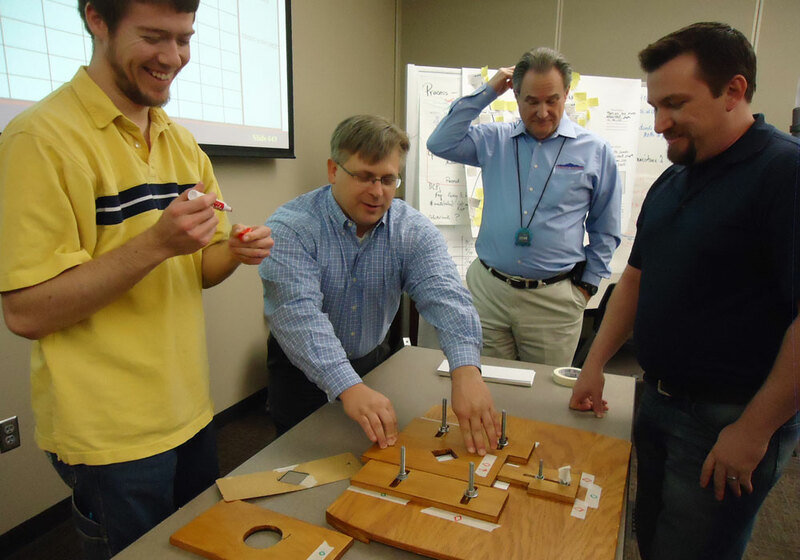 All participants in a Six Sigma class held at a poultry production plant were required to complete a project. But the projects were taking much longer than expected to complete. What to do? The sponsors for each Six Sigma project held regular meeting with each Six Sigma participant to monitor project progress. Unfortunately, regular work was taking precedence over the project work and these supposedly important project improvements were not getting done. At one location, my colleague and I led a one-week “QuickSigma” session. What is that, you ask? It is a session for people who have completed a Six Sigma class and are working to complete a project. QuickSigma is different from other structured week-long improvement efforts because there are multiple projects undergoing completion at the same time. For the first activity, each of the Six Sigma teams presented their work on the Define, Measure and Analyze phases of the DMAIC Methodology. After each presentation, we discussed the progress so far and what the next step should be. Some teams needed to collect additional data for Process Behavior Charts; others needed to conduct experiments which we designed together. One project involved how to set the machine to cut the neck on a whole bird so that the product would be visually appealing to a customer in a supermarket. There were 2 parallel production lines and both had to give the same results. Focus group research determined that the length of the neck on a whole bird in the display case of a supermarket should be even with the shoulders of the bird, not sticking out or sunk inside. With high product volume, it was possible to conduct experiments on several factors in a few hours. By the second morning, several teams were presenting the results of their experiments. After only 2 days, three of the projects, including the project on the neck length, had solutions for their projects, along with Control Plans for keeping the improved processes on track, which the plant management accepted. By the end of the week, the initial 5 projects were completed satisfactorily plus 2 additional ones. Needless to say, the management was thrilled. QuickSigma brought together knowledge of DOE plus experience in conducting experiments efficiently and effectively to the people doing the projects. This concentration provided momentum to get the work done. Few people who complete a Six Sigma course have the vision of how all of the pieces fit together and are not practiced in how to apply their new skills. QuickSigma came to the rescue.